Posting 2018 Halloween Pics Introducing our sweet Bethany! Family. Joy. Hope. These are the very best things about the holidays – and also the things that unite us, as a community linked by a shared diagnosis and similar path through life. One thing that brings tremendous joy and hope to many of us is getting to know other children with WHS. Simply seeing another child with 4p- can provide an instant connection that’s hard to describe. It’s amazing what can be communicated in a look, expression or smile. To celebrate our kids, and spread awareness of our community, this holiday season we will be creating a photo book that features children with WHS. Starting today (Nov. 3), we are collecting photos that showcase our children’s personalities – whether goofy or stubborn or sweet-as-can-be. 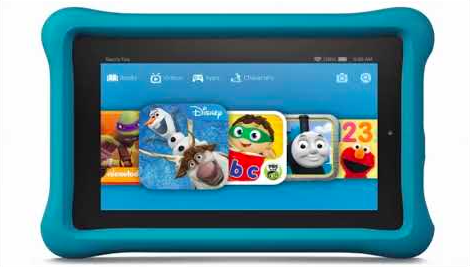 All who submit a photo will be entered for a chance to win a new Fire HD 8 Kids Edition Tablet (8″ HD Display, 32 GB). Three tablets will be given away (with winners chosen at random). Send one (just one, please!) 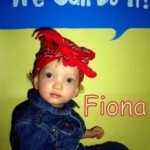 high-resolution photo of your child to janet@wolfhirschhorn.org. In your message, be sure to include the first name and age of your child. Photos must be received by EOD Nov. 16. We can’t wait to create this book to spread holiday cheer and to illuminate what WHS is all about. Thank you, in advance, for your help! Bang! Pow! 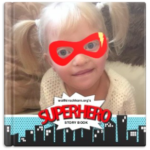 Superhero Story Book available… now! Are the books available to order?